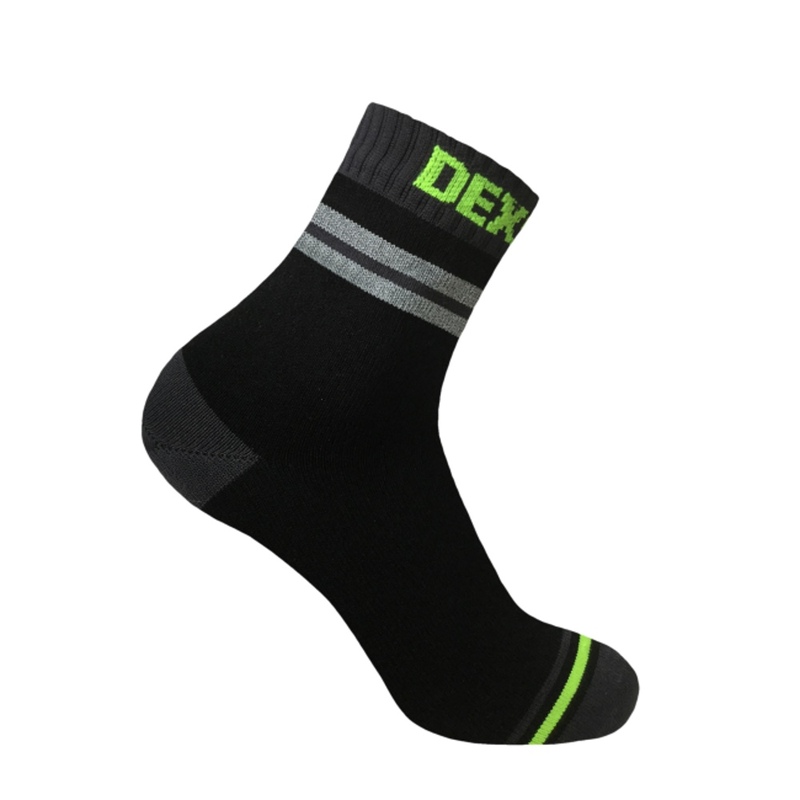 The DexShell Pro Visibility Cycling Socks have a waterproof, windproof and breathable membrane sandwiched between a stretchy durable nylon outer and a Coolmax lightweight inner to offer you the very best level of waterproof protection while being breathable and comfortable. 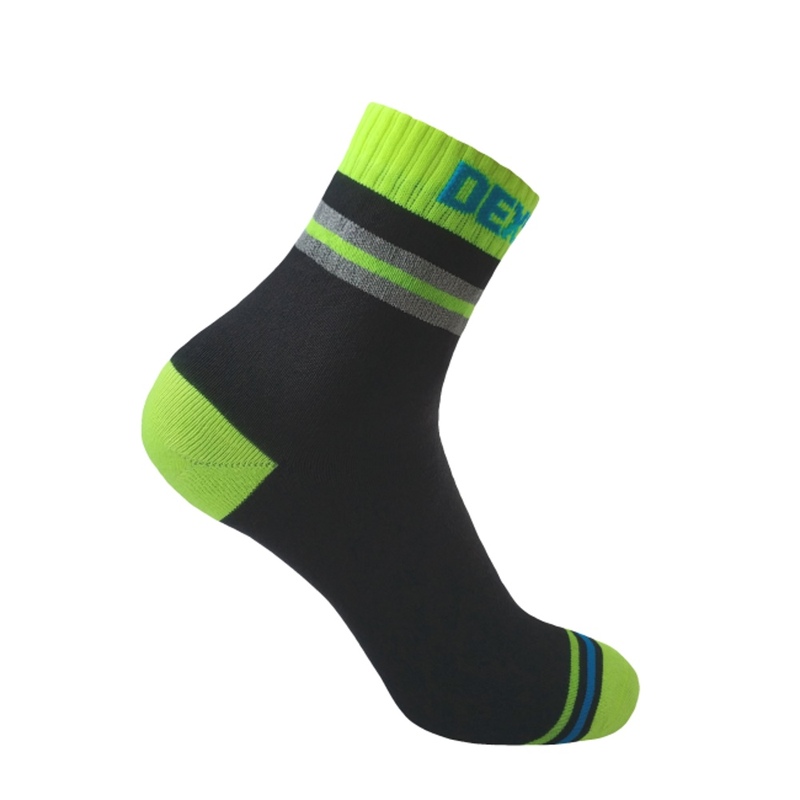 These Waterproof biking socks have super high visibility detailing strips all around the cuffs to help you be seen and merino wool cushioning pad from heel to toe to help prevent blisters making them absolutely ideal for keeping your feet dry in rainy conditions. 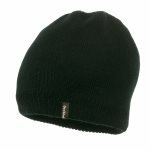 Although DexShell have designed these with cyclists in mind, we think they are an excellent choice for anyone walking, running or commuting in low light conditions too!